Some More Sound outfits exhibit and event space supporting more than 250 annual events with CoRAY4 and LINUS 10C loudspeaker management power amplifiers. 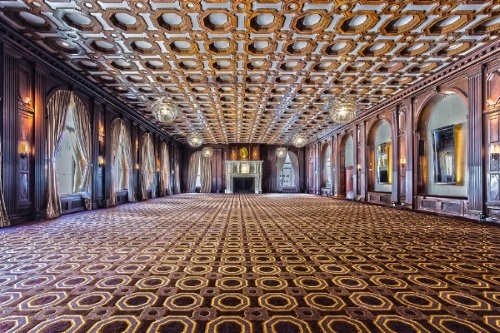 The Julia Morgan Ballroom and the Merchants Exchange Club special event venues in San Francisco’s Merchants Exchange feature more than 15,000 square feet of exhibit and event space, including breakout rooms, bar and lounge areas. The staff of the Merchants Exchange sought to source and purchase a complete AV package to execute the 250+ events it stages each year. Head of production, Walter Ryon consulted with Some More Sound of Concord, CA and ultimately selected loudspeakers and amplifiers from CODA Audio. The flexible nature of the venue demanded that loudspeakers, console and wireless receivers could be set up and used on an ‘anywhere/anytime’ basis, while appearing as sleek and unobtrusive as possible in order to satisfy aesthetic expectations. The initial investment comprised 4 x CODA Audio CoRAY4, 4 x CODA Audio HOPS8, 2 x CODA Audio G15-SUB and 3 x CODA Audio LINUS 10C loudspeaker management power amplifiers. The Merchants Exchange consists of multiple principal spaces, each boasting spectacular architecture, that can be individually configured to match customer requirements. 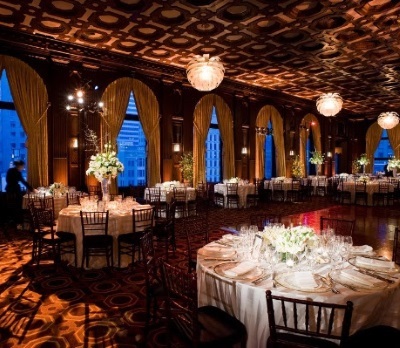 The Julia Morgan Ballroom hosts a range of corporate events, banquets and weddings in its 4,500 square feet of unimpeded event space. The Club is a more challenging venue with a lower ceiling and a flexible configuration, offering multiple seating plans. Within the events packages offered at the club, AV systems are sold as bespoke value-adds for flexible modularity. For example, where a CoRAY main system might be configured on the long side of the Ballroom, a HOPS8 speech system could be in use in the Club’s Great Hall. Alternatively, the CORAY system might find itself used for mains and delays in the Hall while the HOPS8 delivers background music in the Del Pino Bar and Lounge. As events at the Merchants Exchange Club scale up, Ryon anticipates further investment in the shape of a CODA Audio APS system to cater for larger full-band or DJ sets.